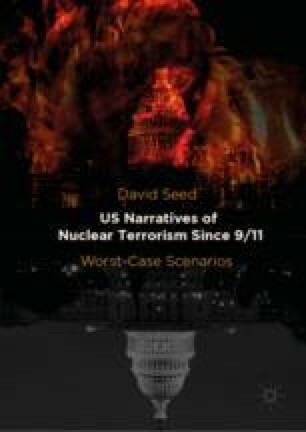 This chapter focuses on the worst of worst-case scenarios: nuclear attacks so extensive that the very survival of the USA as a nation is brought into question. The sheer scale of the action is one of the determining characteristics and the chapter first addresses instances of survivalist writing. Many of the novel titles here are taken from Revelation and biblical prophecy is sometimes applied or debated. Through the works of writers like Robert Gleason or Robert Ferrigno (the Assassin trilogy), different scenarios of reconstruction are described in the aftermath of apocalypse, which is only rarely described as it happens, and which is often dramatized as an ongoing conflict between good and evil.